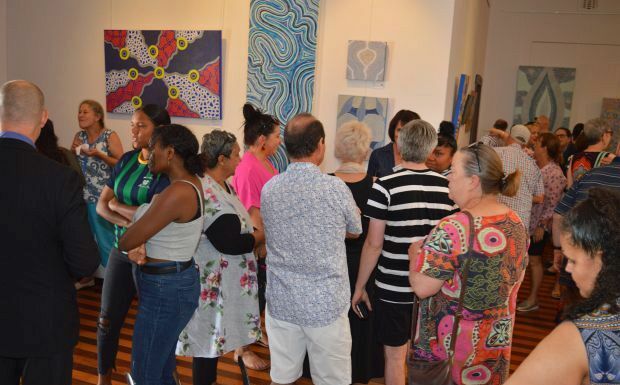 Kingaroy Art Gallery was buzzing on Saturday morning with one of the biggest crowds seen at an exhibition opening at the venue for years. 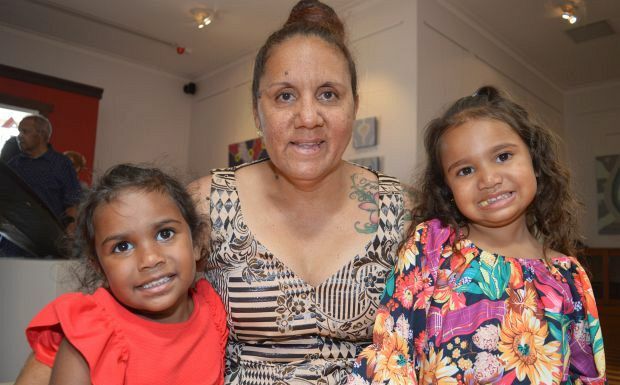 Cherbourg artist Niketa Law unveiled a gallery full of artworks – including a surfboard! – that she has created over the past 12 months. 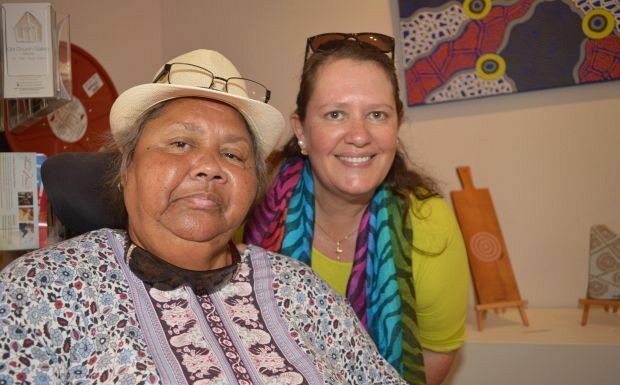 “Yungi – First Collection” is Niketa’s first exhibition and family and friends travelled far to congratulate her. “The 36 pieces are basically me on show before you, which was a bit daunting at first,” Niketa told the crowd. 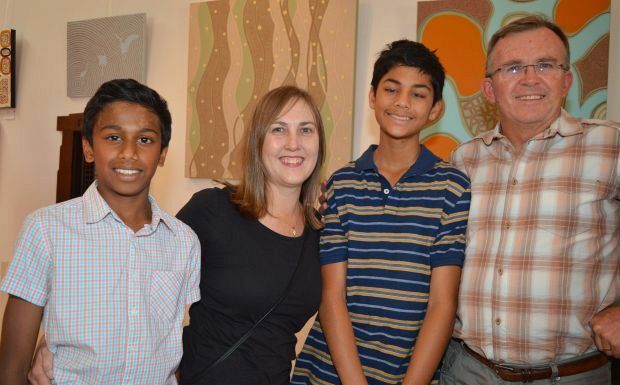 She said having an exhibition had always been a dream of hers, but she admitted she was amazed she had accomplished all these in under 12 months. 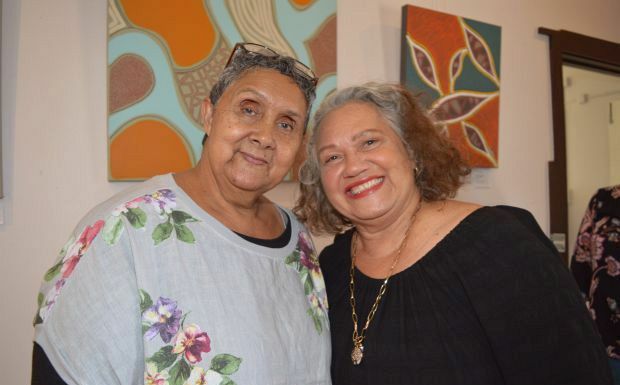 The exhibition was opened by former Murgon teacher Wendy Exelby – now a close friend of Niketa – who enrolled her 18 years ago at Murgon State High School. 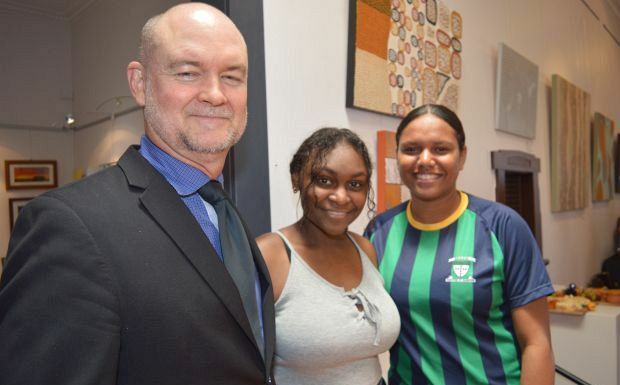 She shared some stories about these school days which demonstrated that Niketa had always had a strong inner voice and had been “itching for her voice to be heard”. “At school, she wanted to be a writer; it’s only in the last decade that she has seen herself as an artist,” Wendy said. 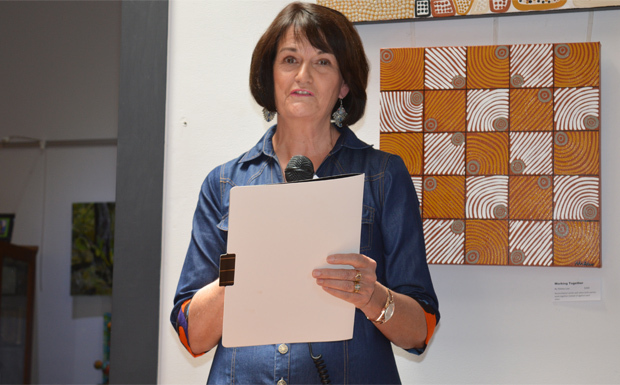 She said the exhibition provided a rare insight into the artist. 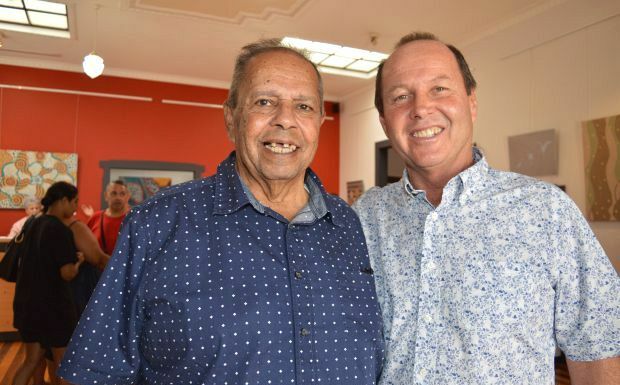 Niketa’s father, Wakka Wakka Elder Eric Law AM, did the Welcome To Country. 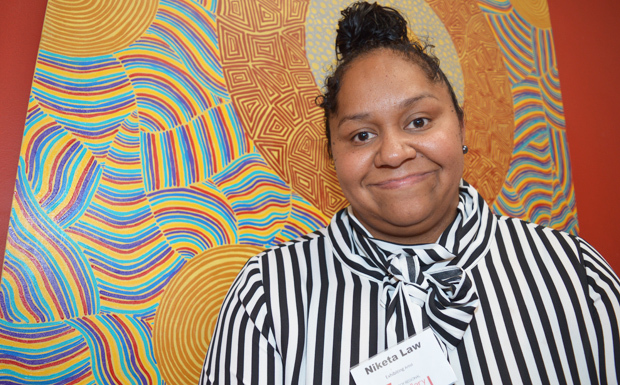 Niketa, who works at St Mary’s Catholic College, said her art “felt like home”. “It is my voice,” she said.